Kathy & Joe Bly and I are slated to play at the Brewery Arts Center in Carson City, NV Saturday, April 14 at 7:00pm. It occurs to me that bands could be thought of as an interesting framework for cooperation, because the challenges are numerous. Choosing material and arranging it is an incredible balancing act. Deciding who books gigs or who will do the publicity for them can be a tussle. Fortunately, Fortunate Strangers is pretty good at cooperating. For us, the greatest issue is distance: Kathy & Joe live in Gardnerville, NV and I live in Berkeley, CA. We take turns driving to rehearsals in each other's territory, and sometimes that means we have to cancel due to inclement weather. As in snow. In the Sierras. But we're consummate professionals, and able to perform with minimal "together time", because we have Devices That Record! You can do a lot of rehearsing to a recording, but it's not nearly as much fun. Here's another kind of cooperating that we do well: Some time ago, Kathy and I made a pact that she would challenge herself to sing with Joe and me, and I would challenge myself to play piano for the band. Well, we will both undoubtedly do some deep breathing as we step off our respective cliffs at this next concert! Wish us luck - or better yet, come cheer us on! On July 1, my daughter, Calvaleigh Rasmussen, and I will lead a children's Silly Song Sing-Along. Then on October 14, Shay Black will join me in hosting a Celtic Sing-Along. SAVE THESE HOUSE CONCERT DATES: Both concerts will be at my house in North Berkeley at 7:00pm. You know Eamonn Flynn for his gigs with the Black Brothers. He's an amazing pianist & songwriter and we're teaming up for this eclectic duo concert on Sunday, September 16. 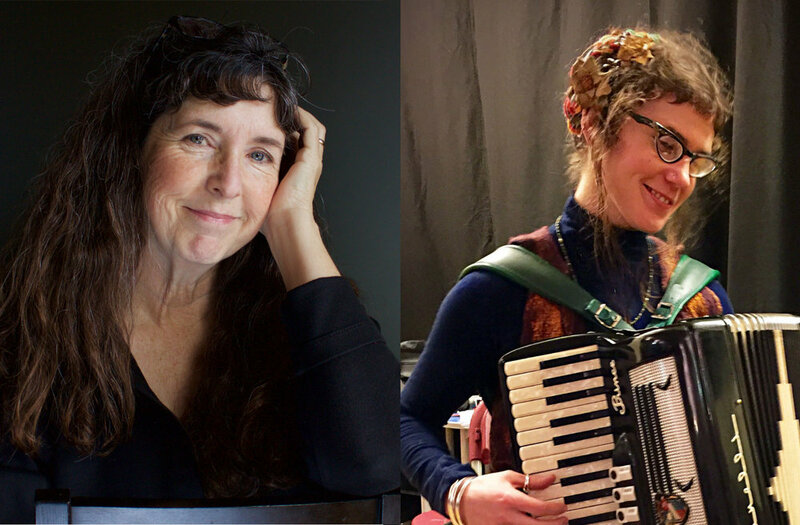 On Sunday, October 21, I will be hosting The Quixotics; Kim Hughes, Jennie Nourse and Cynthia Tarr are the Sonoma based trio known for their lovely three part harmony singing.